We at TLC Carpet Cleaning London have you covered when it comes to professional cleaning for your home or office carpet. Our local carpet cleaners can provide quick and dependable service for any type, size or condition. Being for a long time among the top-rated London carpet cleaning companies has given us the expertise and skills to offer a service that is second to none. Our well-trained and qualified technicians will make your home carpet clean again! Call us on 020 3857 1550 to book us now! You can rely on our expert carpet treatment service anywhere in London. We operate on local level in every major area or borough in London. All of our local technicians are trained to the highest industry standards. We follow NCCA recommendations and best practices strictly. What’s more we monitor our operators’ work closely and review their performance. It allows us to provide you with the best carpet cleaning there is in all of London! 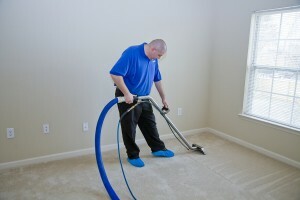 Steam carpet cleaning which is also known as hot water extraction is the most effective method to clean carpets. This method uses hot water mixed with cleaning detergent to rinse out dirt, grime and other impurities from the fabric. Leading carpet manufacturers and trading organisations such as NCCA and IICRC recommend it. What’s more up to 80% of the water is extracted which allows for the almost immediate use of the carpet after deep cleaning. We use this approach when we have to deal with delicate fabrics or when there is little time left for drying. Your carpet is vacuum cleaned thoroughly before our technicians apply the absorbent compound. It’s 90% biodegradable. We spread it evenly to cover the entire surface and scrubbed with special tool into the fibres of the carpet. It sits for 5 to 10 minutes to attract and absorb all the dirt before it’s removed with powerful vacuum cleaner. Below you can check out why we are rated as a first-class carpet cleaning company in London by more than 95% of our customers who by the way would recommend us to friends and family! You might as well take advantage from our rug cleaning or sofa cleaning service in London. Contact TLC Carpet Cleaning now on 020 3857 1550 to learn more about our range of specialist carpet treatment service in London. We work 7 days a week, so you can fit our service in your busy schedule without problems. Our office assistants will provide a free price quote when you provide more details about your needs. You can rely on the highest quality of carpet cleaning services in entire London with our expert technicians.